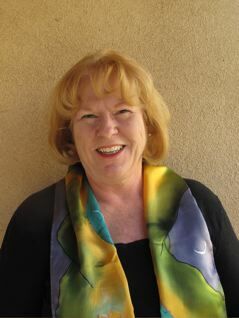 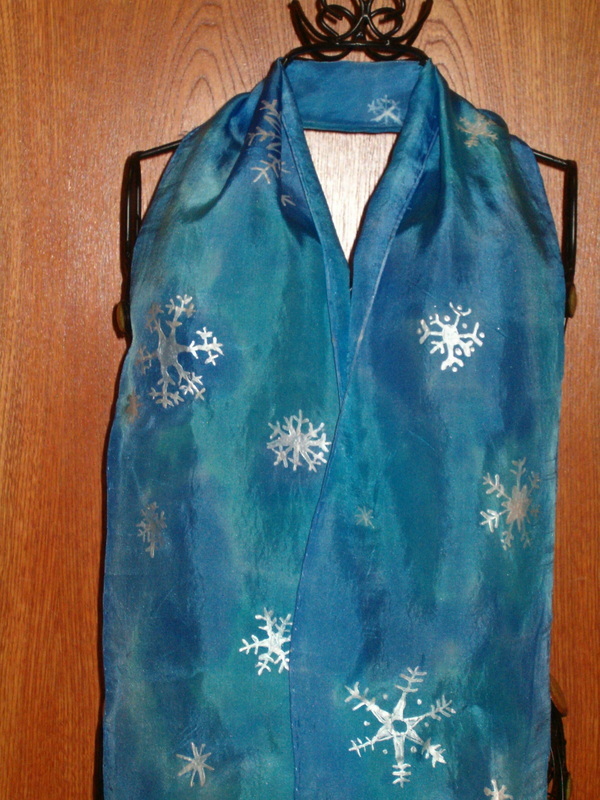 Scarves are aprox. 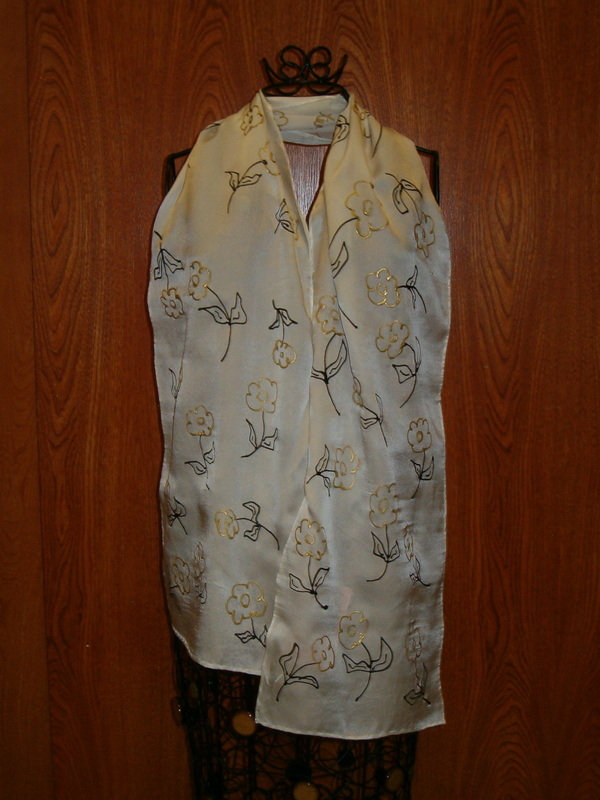 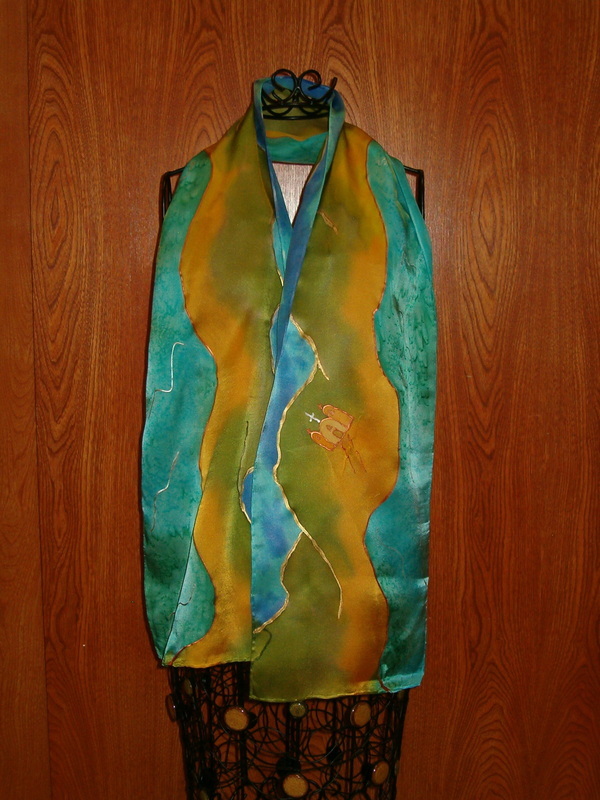 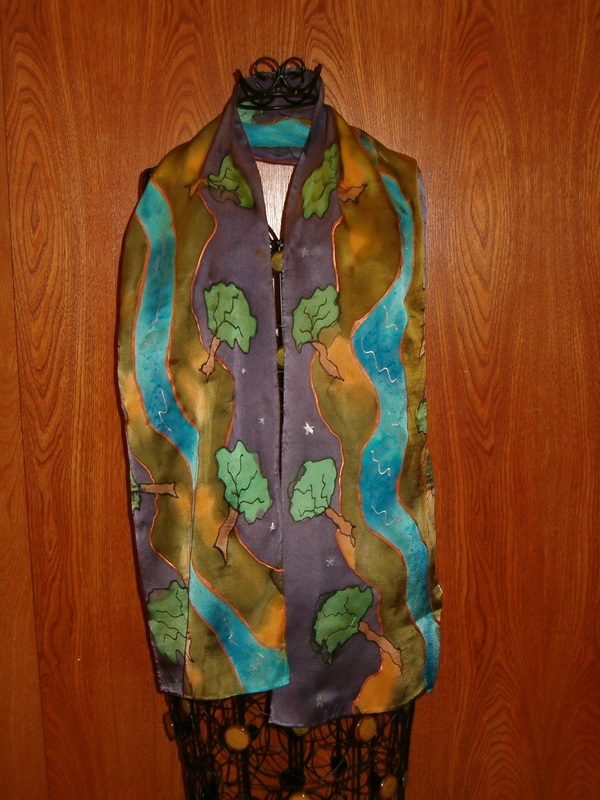 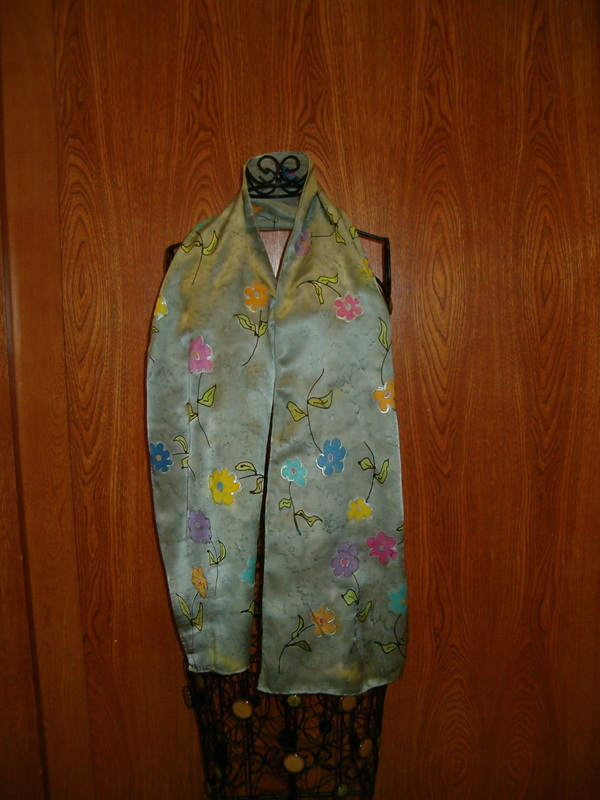 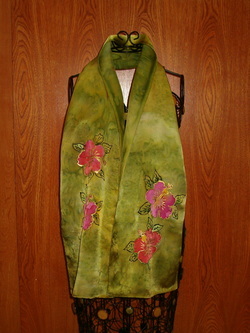 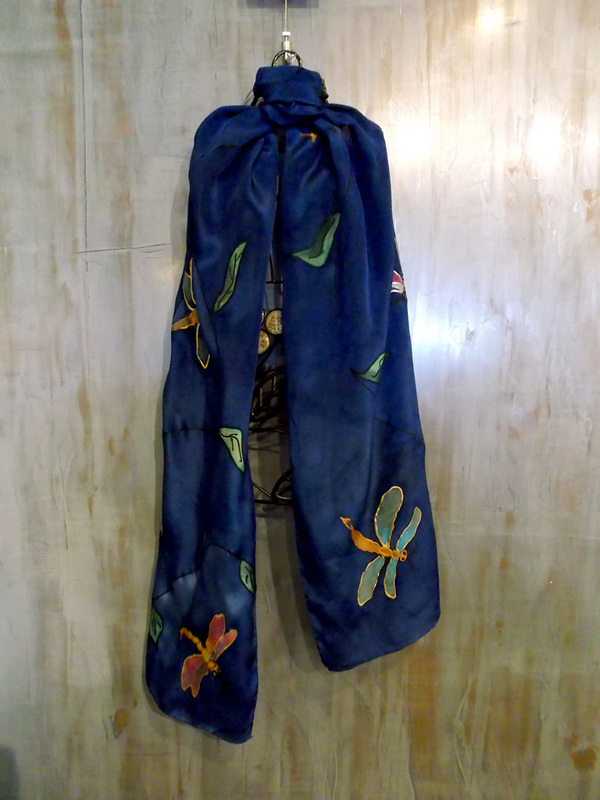 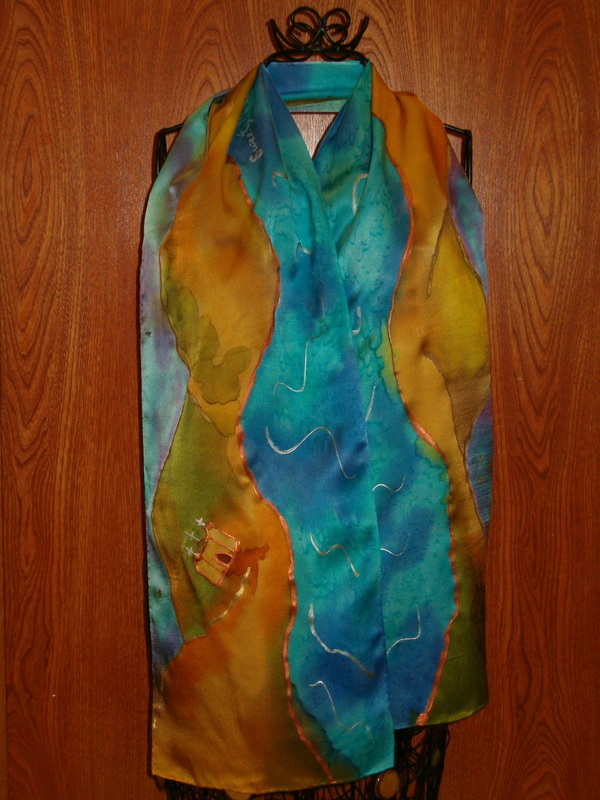 11" x 64", made of pure soft silk with hand rolled and stitched edges. 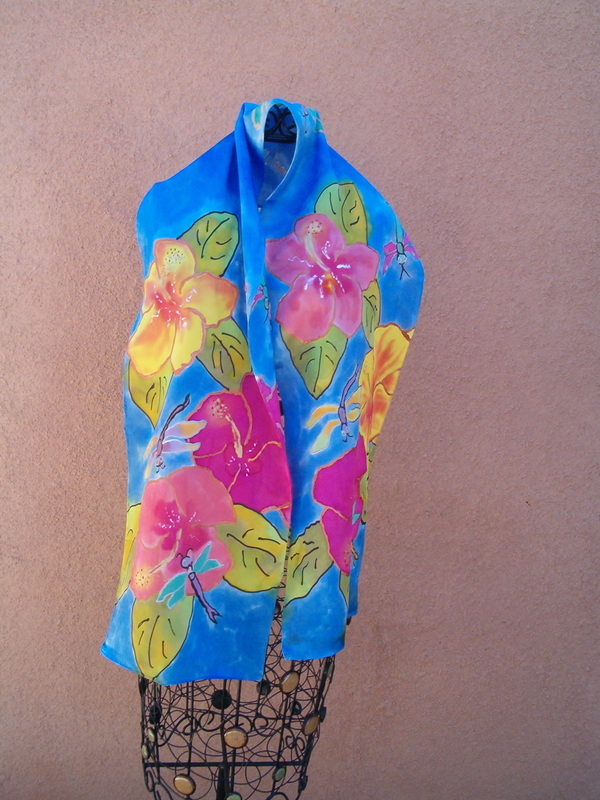 All are hand washable with easy iron directions. 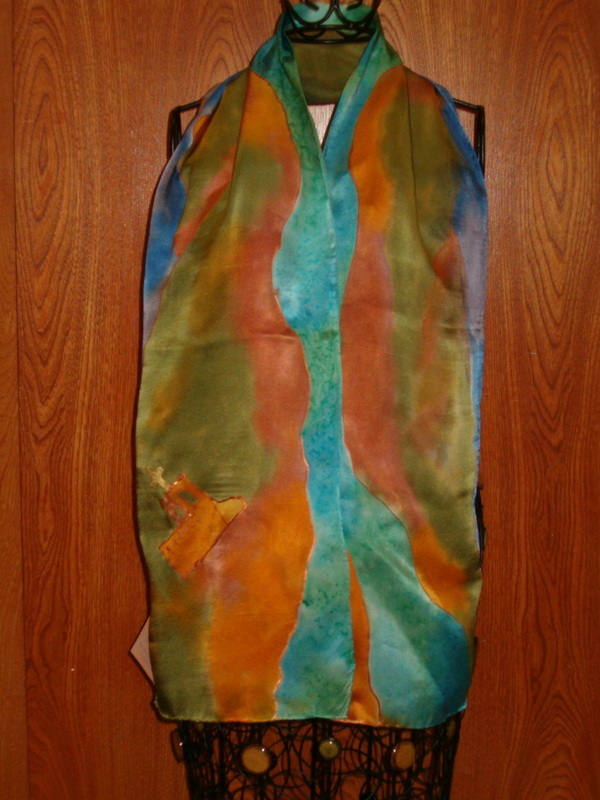 Dyes are all steamed for durability...an elegant addition to any stylish wardrobe and the perfect gift!